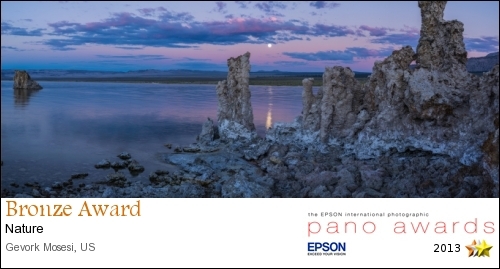 This was the first year I participated in the Epson International Pano Awards. I submitted two photos. Both of these were made with Nikon D800E, multiple shots made in portrait mode, and stiched using Panorama Maker. Im proud to say that both of the photos were awarded Bronze. I'm hoping to participate in the years to come. I look forward to using my new Fuji GX617 camera with the 90mm lens.